2016 was a bad year for most car companies. Unless you’re McLaren. It's fair to say 2016 was a miserable year for lots of reasons. For McLaren, however, it was cause for considerable celebration. While some manufacturers struggled last year, the British manufacturer exceeded its own sales expectations. Initially, the aim was to sell 3,000 cars, but the total from January to December 2016 amounted to 3,286 units. Staggeringly, that’s a 99.3% improvement on 2015, which saw the delivery of 1,654 cars to lucky buyers. The majority of those new sales are thanks to the manufacturer’s Sports Series. The Sports Series includes the 570S and 570GT. 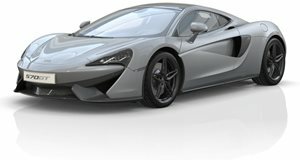 A total of 2,031 of these were sold, but the Super Series made up of cars such as the 650S and 675LT Coupe and Spider also helped catapult McLaren’s sales with 1,654 units sold in this category. “2016 was a remarkable year for McLaren Automotive,“ said Mike Flewitt, chief executive officer of McLaren Automotive. 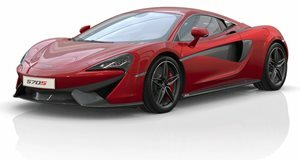 “We’d planned it to be a year of considerable growth, thanks to the first full year of Sports Series production, but it’s surpassed even our own optimistic expectations.” North America proved to be McLaren’s most prolific market, where 1,139 cars were delivered resulting in a 106% growth. It was a similar success story across the globe, too. A total of 996 units were sold in Europe, representing a 153% increase. China, meanwhile, is developing rapidly with 228 cars sold, while the Asia Pacific region saw a 90% growth. Elsewhere, the Middle East, Africa Central and South America region saw a respectable 69% increase. Following this success, McLaren is showing no signs of slowing down. 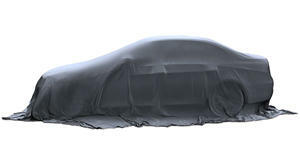 A successor to the 650S will be revealed at Geneva with over 700 horsepower, and the manufacturer has ambitious plans to release 15 new models by 2022.